Many senior citizens are living on fixed incomes that often are insufficient to meet the maintenance needs of their homes. 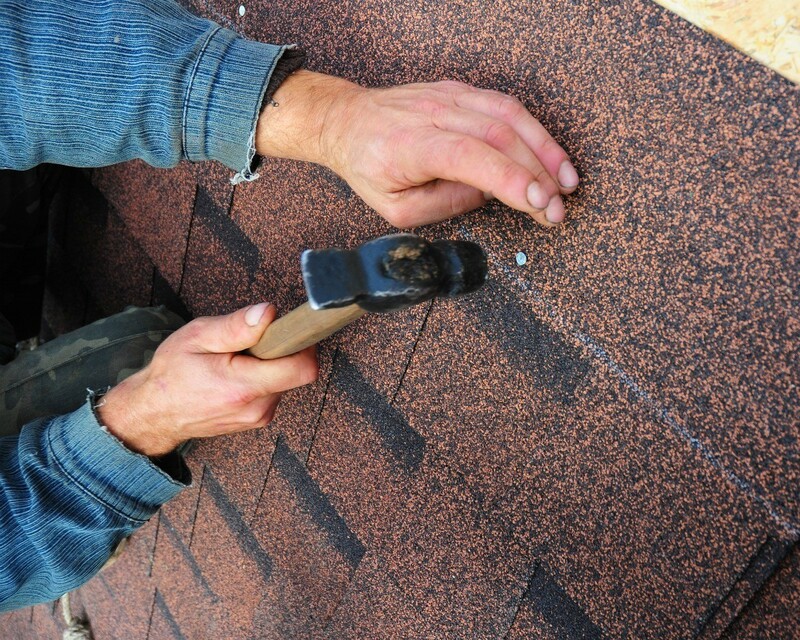 This is a guide about finding roof repair assistance for seniors. How can my mom qualify for roof repair? It will need to be done soon. The roofer went out today to inspect, as we need a roof certification for insurance purposes that she needs vs the one she now has. The house was built in 1960 and needs new roof soon. If the roofer finds it needs repairs just to get her roof cert now or before 2-14-14, she might have to stay w/her same insurance company. This is not good. We found a better carrier, but they require the roof cert and that will cost! Is there any help around for seniors on "fixed income". She's 81 yrs. old and a widow. There should be an organization in your state called Opportunities For Independent Living. Some people refer to it as OIL. Keep in mind that different cities in the same state might have a different name for the organization. Where I live it is called Independent Living Center, in another city in this state it is called Opportunities for Independent Living. Look in your phone book and call any organization whose name sounds like it might be something like that. Or call your local Department of Social Services/Welfare Office and see if they know of an organization that can help you. there is income guidelines and if they do the repairs and your mother has to move out of the house for a certain reason within a certain time frame she will have to pay back a pro-rated amount. A few years ago my sister had OIL make some repairs on her house, and because she had to go into a nursing home within the specified time frame she had to pay back a certain amount of money. Also speak to your pastor he might be willing to take up a special anonymous offering in church, but I don't know if that would amount to enough. Regarding your insurance. First, you are not locked into your old one. You can cancel and change it at any time, not just renewal time. The billing is simply pro-rated. Also, your current insurance also can come and do an inspection at any time as well. I used to work for an insurance company and we just pulled them at random to do inspections. You may also want to check with nearby vo-tech and building programs at the high school. I had a shed built by a high school building trades class. They did excellent work, and I only had to pay for the materials (no labor charge). In Texas, I recently inquired about getting my house painted and windows repaired/replaced. There were options for many different cosmetic or badly needed repairs, paiting, depending on your needs. There is a section about paining homes, roofs replaced, all the way to plumbing repairs, electrical and etc. If you are low income you have to meet certain criteria to receive assistance. My mother needs her roof repaired, and has no money to fix it. Can someone help with this for free? She is 86 years old and lives on a fixed income. I live in California and can't help her. She is strong and will need to stay in her home for some years. Check with community action agencies in your mom's area, and with the local Area Agency on Aging office. They should be aware of any home repair programs available for elderly homeowners. Habitat for Humanity varies from area to area but I am not aware of any of them doing home repairs. Their mission and goal is to increase homeownership, but their focus is not to keep people in homes they already own. Also check with her city and county housing department offices. There are times that they offer free or low cost help for housing repairs. Where I am, we have a charity called "Rebuilding Together" and it's a national group to make home repairs so seniors can stay in their home. Ask local churches. Habitat for Humanity where I am just had a program for "weatherization"; this includes roof repairs. You have to apply. Check with the H4H in her area or in yours for a referral, or check the website. Call her County's Health and Human Services Department - they would know if there are any state or county programs, including any senior programs. Also, telephone a roofer (or bldg contractor) in her area and ask about any programs or charity. A lot of repairs can be done cheaply, if you know what you are doing and don't need to replace the entire roof, and maybe she could afford a cheap repair that even a neighbor may be able to do. If there is a county Office for the Aging, you should contact them. Here in upstate NY, they fixed my mother's roof, installed a handrail on the back steps and got her a new furnace. They help with safety issues, so that the elderly can stay in their own homes longer. My wife and I are 72 years old. We live on SS with no other income. Our roof is 31 years old and needs to be replaced. We cannot afford to pay for a new roof because we live month to month with what we both receive from SS to pay for all our bills. Is there somebody that could help us out? Contact a church in your area. Baptist Churches have youth groups called World Changers that do this. They may also have people in the congregation who may help do it. Good Luck and God Bless. It may be worth checking to see whether there's a firm that would be interested in leasing your roof to put solar panels on it, if it is south facing. You get cheaper electricity and the firm gets the feed in tariff for whatever you don't use. The solar firm will need to put up scaffolding to install solar panels, so you can take advantage of the scaffolding for you or a friend to patch the worst leaks, and the cheaper electricity will put you in a better financial position to take out a loan for a more thorough job in a few months' time. Hello - probably most of the people reading Thrifty has some of the same problems you are having (need versus not enough money) so all anyone can do is offer places for you to ask for help. We have no idea where you are located (what country?) but the advice may be the same. Check local churches, local charities, etc. for addresses of where to go and who to see. Many people in Florida still have tarps on their roofs from hurricane damages that happened years ago. I am 80 years and low income and have wind and hail damage on my roof. The house was built in 1995 and has not been re-roofed. My insurance wants a $5,000 deductible, which I do not have. I live in Stockton, Missouri. Is there any help for me? I don't think they insurance company wants the $5,000. That is the amount of the deductable and that means they will pay for a certain amount and the deductable is what you will have to pay the contractor that does the repairs. Do you have an estimate for the repairs and let the insurance company know how much it is? Also talk to different contractors, you might be able to find one that is lower cost. A good quality roof shouldn't have to be replaced in less than 20 years, providing there isn't storm damage. The one house we owned was built in 1973 and in the mid 90s the roof was still good. There is an organization that is nation wide that helps seniors and disabled low income people with home repairs. I don't know what it is called where you live, because in different states and even in different cities. It is strictly income based, and just because you consider yourself low income, doesn't mean that you actually are. There is also a waiting list. Also if they would repair your roof you have to remain in the house for a certain number of years and if for some reason you would have to leave the house, you would have to pay back the money on a pro-rated basis. You could also speak to your pastor if you have one. Sometimes they will take up a special offering for a low income member of the congregation and there might even be some people in the church that could do the work and maybe even donate some of the necessary materials needed for the repairs. Provides loans to very-low-income homeowners to repair, improve or modernize their homes or grants to elderly very-low-income homeowners to remove health and safety hazards. Even if they can't help you, they might be able to connect you with someone who can. My mom lives in Chicago, Illinois. Her roof is leaking and needs to be fixed. She is 86 and wants to stay in her home. She has insurance, but we can't come up with the 1000.00 deductible. We contacted the Department of Aging and she was put on an emergency list "last" December and rain is now destroying her back bedroom. With winter coming her heating bill will be high if the roof does not collapse in the mean time. Any suggestions where to go for help? Was the damage done by a storm, otherwise I don't think homeowners insurance will cover it, even if you had the $1,000.00 deductible. Talk to your mother's pastor, sometimes, if a church doesn't have the cash up front, they will take up a special offering during a service. That being said it might be time for her to move into an apartment. My late Dad didn't want to leave his house, and the workshop he had in the back yard, where he puttered around and did some wood working, but we did get him moved into an apartment where it was all seniors/disabled people. It was only a matter of time before he made new friends, and they would get together and play cards, visit, etc. The ladies/couples in the building would bring him part of their meals. His apartment was about 70 miles from where he had lived. See if you have an energy assistance agency in your area. It is usually through community assistance and can be found through them. She should qualify for help. If she is a church attendant you may want to put the word out she needs the money or the repairs. I hope those help. My brother is a 75 years old and is a very sick man. He draws very little from Social Security. His roof is leaking and we haven't been able to get any health/help agencies from Pikeville, Kentucky, to do anything. They promised to come, but didn't call or come. Is there anyone or agency that could possibly fix his roof? He also has a leak around his bathtub area. In Kentucky they also have a HUD agency that you can try to call and make an appointment to present your case to them. I live in Jax Florida. My sister is a disabled senior who just started getting Social Security. We have tried all the local and state agencies. She needs her roof replaced. Even the rafters are bad! Nobody seems to be able to help. Contact the home builder's association where you live. Where I live they do repair work for seniors and disabled people, for a brief period of time every year, and due to finances they can only do a certain number a year. Have your sister speak to her pastor, there might be some people in the church that could help her. Is there anywhere besides the city roofing program seniors can get free help? My grandfather who will be 80 later this year and is living on Social Security only is in need of some roof repair. My brother and I, with our spouses, have been trying to make the other repairs that are needed. I still have to save the money for painting the inside of the house. The roof caused a leak in the dining room over the table. It has gotten to the point that I and my brother can't keep making all of the repairs and I don't know what else to do. Even if I could get half of the roof done for now I would be ever so grateful. Where can we go? There is a government funded agency that does home repairs for seniors and disabled people. The drawback is I can't tell you the name because I do know it has different names in different states and even different names in different cities in the same state. You might try asking about Opportunities for Independent Living(OIL). If you Dad has a social worker/welfare worker they might know something about it. Otherwise start asking your State and Federal politicians There is a waiting list and it does go by income. That being said, if you can get the repairs made by this organization, your Dad will have to stay in the house for a certain number of years or else pay back the money that was spend on the repairs, on a pro-rated basis. Also from what I have heard, at least in the area where I live they don't do shingles, they do some kind of metal roof. I have been told that doesn't look as nice as shingles would, but it would be better than nothing. Otherwise speak with your Dad's or your pastor, sometimes they will take up a special, anonymous offering for a needy member of the congregation. There might also be members of the congregation that can do the labor and might be some that can furnish some of the necessary materials. I heard of a web site that helps people like us, but can't seem to find it. Our roof was leaking terribly. So much that the ceilings started to collapse. We had to move out in October. My husband was in the hospital and then rehab for over a month. I was diagnosed with cancer with doctor appointments, radiation, and chemo to follow. The con artist took close to 24k to do roof, ceilings, painting, and texturing of walls, etc. He was going to also install kitchen cabinets I had purchased. Our roof stands with tar paper on it and nothing else. Basically he demoed the whole house then ran. He also stole fixtures, etc. that I purchased at at Home Depot along with shingles that I purchased. Last time any conversation took place he basically laughed in my face and told me where to go, along with take me to court. It's now Jan 21, 2015 and we still have no home to go too. I have gone to all TV stations, called various organizations to no avail. Is there someone out there left in this world with a heart? I know there is. It's very hard for me asking for help. Any little help would be greatly appreciated. I have Him on my side. I just want my family back into our home. I do not know of any "agency" that can help you in this situation. The only action you may have at this point is to file a legal suit against the contractor and try to recover some of what he stole from you. However, this action will take more money as few lawyers will accept this type of case without a sizable retainer. Also, the contractor either has no money and goods to file against or has protected himself against possible suits by various "legal" or, at least, "unsearchable" methods. You do not say how you came to use the services of this contractor but, as you now know, you can never be too careful in checking the background and business practices of anyone to perform work for you. How does a senior get help in Detroit Michigan with roof repair? People tell me they've gotten help. When I call I can't get help. The only organization that I know of is a nationwide government funded organization. It has different names in different places. IF you are so low income that you can't afford to repair it yourself, you must have a social worker/welfare worker through the Department of Social Services/Welfare Office. Talk to that person and see if they know the name of the organization. Ask the people that tell you that they have received help where the obtained the help. Just being a senior citizen isn't enough to receive help from this organization, you have to qualify income wise. Then there is a waiting list. That being said, the people that receive help from the organization have to stay in the home for a certain number of years. I have a sister that received help from the organization and before that time frame was up she had to go into a nursing home and when her house was sold she had to pay back the organization on a pro-rated basis. Talk to your pastor, there is a possibility that he knows of members in the congregation that could do the work and some that would donate the needed materials. I do know sometimes pastors will take up a special offering for truly needy members of the congregation. I am a senior citizen and need "help" with my leaking roof and foundation problems. I am also under educated and I don't know where to turn. I have tried in the past other places that offer help, but they did not help me and said I didn't qualify! God bless you. When you were told you didn't qualify, they probably meant that you were over income. If your home is completely paid for, there is some kind of mortgage for Senior Citizens where you get monthly payments from a mortgage company, the drawback to that is when you die the home belongs to the mortgage company. Also all states have some organization that provides help to seniors and disabled people. Some towns call it Opportunities for Independent Living and other towns have other names for it. Where I live it is called Independent Living Center. Your Department of Social Services should be able to help you with that. There are different organizations that provide different types of help, but usually a person has to meet age, disability, or income guidelines. I don't know what you mean when you say you are under educated, even if you only have an 8th grade education you should be able to go about hunting for help. If you are a church member talk to your pastor, he might be able to help you, if nothing else give you some leads to check out for help. Is there any company or organization that offers help to an elderly woman, 80 years old, in Deerfield Beach Florida that has a roof leak that has caused a portion of the ceiling in her living room to drop down. The rain is getting inside. She is catching the water in large trash cans. Is there any company that anyone can suggest I call that might call for financial assistance to the elderly to get a roof repair or replacement. She has no money to repair it as she lives on Social Security income. My heart breaks for this old lady. My 92 year old mother will not take a bath due to the fact that she is afraid she will fall, her tub is high. She lives alone and is in fairly good health. Also the floor in her bathroom is falling in around the toilet. Is there anyone that can help her with the repairs? All the kids are on Social Security and live on a fixed income so we cannot have the work done. Is there any help we can get to put a new roof on our house? Are there any loans we can see if we can apply for? Is there anyone to help out senior citizens in this situation? Do they go by what income you have? Are there any programs that you know of that can help a senior get her roof repaired? My husband and I are seniors. Our son paid for roofing material, but can't afford to pay for labor to have it installed. Is there any kind of free help out there? I can furnish food and water or tea. I am seeking senior programs to put a new roof on my house for free.